Cooking plays a huge role in my life. I am perpetually looking for new recipes to try or figuring out ways to put a fresh twist on old favorites. Because of this, I have a sort of a thing for chefs. With the increase in culinary shows over the years, I’ve spent a fair amount of time learning about different chefs and following their careers. On my second solo trip to NYC one of my best girlfriends took the train up from Philly for a quick overnight visit. While she was there and were traipsing about the city sans kids we decided to hit up Harlem and the famous Red Rooster restaurant to meet some friends. While I wasn’t able to eat there because it was after hours, I was still happy to claim I had set foot in the famed restaurant. 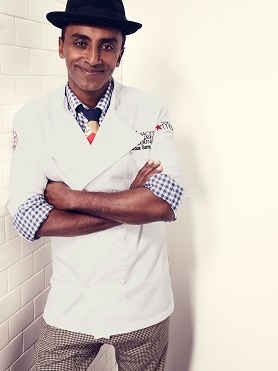 Naturally, when I heard Chef Marcus Samuelsson was going to be part of Macy’s Culinary Council this month I was beyond excited. I have been following Chef Samuelsson’s career for quite some time and have enjoyed seeing him create his masterpieces on television. 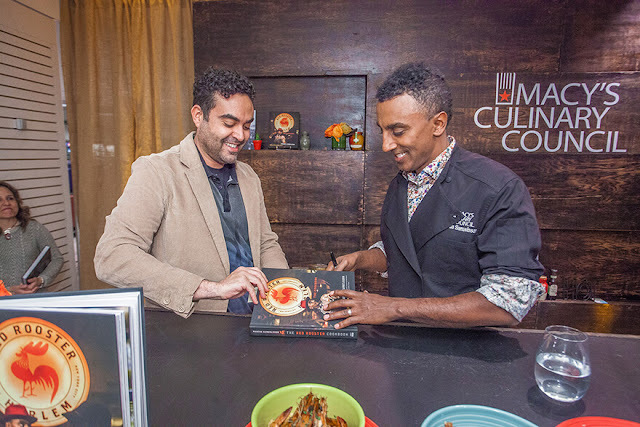 I am thoroughly looking forward to heading to Macy’s Costa Mesa on February 22nd at 6pm to take part in a tasting of Chef Samuelsson’s favorite dishes. While I still haven’t made it back to Red Rooster to eat, I think seeing him create live and in person will more than make up for that. Macy’s Culinary Council is simply on of the best things to me in that it allows the average person to experience culinary delights that they might not otherwise be aware of. Go RSVP HERE and secure your spot! You don’t want to miss this! AND any Home purchase of $45 or more will earn you a $10 Macy’s Gift Card (and who doesn’t love an extra gift card?) The Red Rooster Cookbook and the opportunity to take a photo with Chef Samuellsson himself! How cool is that!